A horse’s sense of hearing is very sharp. Because they have the ability to swivel their heads 180 degrees, they can hone into a sound and tell which direction it comes from as well as what it means. 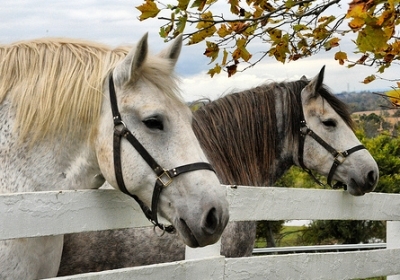 Any loss of hearing can affect a horse’s behavior as well as training and performance. If a horse doesn’t hear well or at all, s/he will startle easily, become wary and/or frightened and cannot respond to verbal commands. 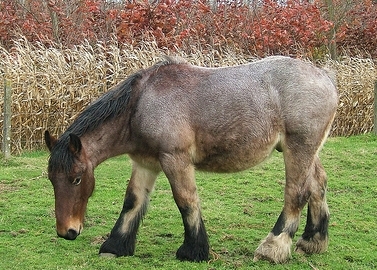 The horse and owner will then have to learn different training methods, both visual and through touch. Causes of hearing loss may be infections, ototoxic (drug or chemical damage to hearing or balance) drugs, trauma, age-related, temporohyoid osteoartheopathy (arthritic changes in the skull) or congenital. Paint and Pinto horses that have a lot of white coloring seem to be more prone to congenital hearing loss. Your veterinarian will use several tests to determine if hearing loss is present and the extent. A neurological examination will be conducted along with a response to sound test. Endoscopic (endoscope – medical device with a long thin flexible or rigid tube with a light and video cameras used to examine interior surfaces of an organ or tissues) or otoscopic (otoscope – hand held instrument with light that allows vet to look inside the ear) ear examinations are usually performed under sedation or anesthesia. A BAER (Brainstem Auditory Evoked Response) test will be used to detect deafness in horses, other animals and humans too. It detects electrical activity similar to the way a TV antenna receives signals. If you notice any changes in your horse’s behavior, have your vet check if hearing loss could be the problem.